GANDERBAL, MARCH 04: Principal Secretary, Agriculture and Horticulture Production Department, Dr. Asgar Hassan Samoon today laid the foundation stone of Horticulture Development Office (HDO) building in presence of Director Horticulture kashmir Ajaz Ahmad Bhat, District Development Commissioner Ganderbal, Hashmat Ali Khan. 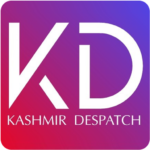 Joint Director Horticulture, Chief Horticulture Officer, Chief Animal Husbandry Officer, other senior officers besides a large number of people from Kangan were present on the occasion. The double storey office building will be executed by the Horticulture Construction Division Srinagar at the cost of Rs 63.73 lakh. On the occasion, Asgar Samoon emphasized on the need to raise the income of the farmers through promotion of local specialty crops, organic farming, production of quality seeds, irrigation facilities and Integrated Farming System. He said that Ganderbal district has huge potential in horticulture including growing of high quality grafted walnuts and grapes that are exported and to boost this sector in the district, Government is making all out efforts to accelerate its activities. He said the government is committed to provide best agriculture inputs to all the farmers. He also urged the local farmers to adopt walnut and grapes cultivation to increase their income. He asked the concerned officials to aware the fruit growers about the latest inventions and achievements in the field of horticulture and to inform them about various schemes of the Department.